Ahh the new year and a new day of the Crazy January Challenge, unfortunately I have no pics to show today. 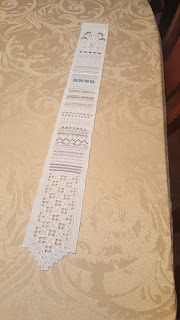 I pulled out the Accordian book of Ornament from Cherished Stitches to restart with the proper thread as I found some on my stash and I didn't like it, so I went thread diving and found something else and didn't like that either. I think, perhaps I will expand the thread search to something other than red to find something I like because this is getting a bit silly. Another start today, though it seems I'm a day ahead here since I started my first project on New Years Eve but right now I'm just working on staying on track with stitching. The first Sheep Virtue is out, oooh so cute. I can't wait for these to come in, my LNS will have it ready for me with fabric and the buttons so I shouldn't have to go hunting to find the items needed to get these finished. Many who have joined the SAL are discussing pillow finishing them and putting them out in a bowl which sounds adorable, I need to start watching for the perfect bowl. 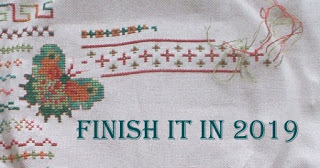 What was your biggest stitching accomplishment in 2012? What was your favorite stash acquisition in 2012 and will you be using it in 2013? My biggest accomplishment in 2012 was picking up a needle again. 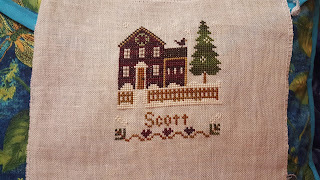 With all the changes in my life I hadn't stitched much in several years despite the stash making the moves with me and constantly nagging me that it wanted my attention. My favorite acquisition, I can't say I could pick a favorite. I only added a few new designs this year and I love them all, my new storage area for my stash is probably my favorite. I got Closetmaid cubes, 2 sets of 2 by 3 stacked. The fabric covered bins hold nearly everything, nice and neat and in one place, the few needlepoint canvases that I have that are larger than the bins are stored flat in the same roon, we have a beautiful old map table that I've claimed a drawer in to keep the canvases from curling and creasing. As for using it, I use it every time I look for a thread or new piece of fabric. 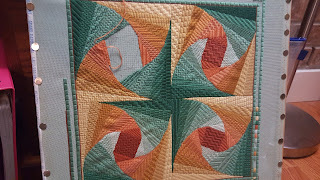 So happy that you found your needle again and hope you have lots of stitching time in 2013! Good for you for picking up your needle again! 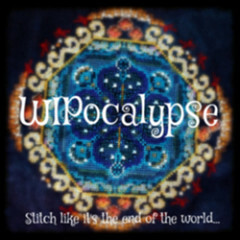 I hope 2013 will be a year full of stitching for you! Yay for getting back into stitching! I loved organizing my stash in the closet and then into a file so I could see it all quickly. 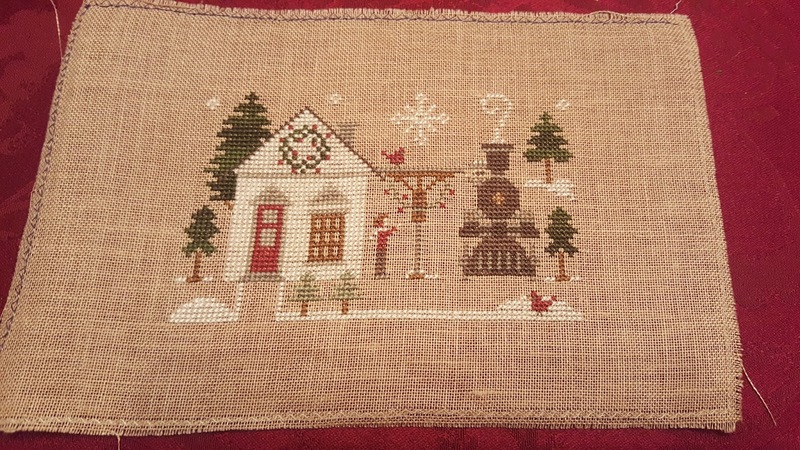 So lgad to read that you have picked up your needle again and found that stitching happy place. Have a wonderful 2013.